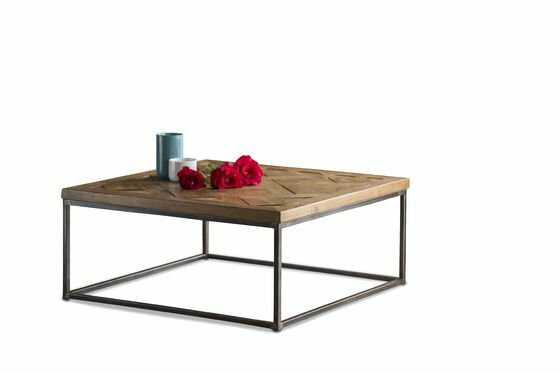 The coffee table Queens is vintage style furniture that will bring charm and elegance to your living room. 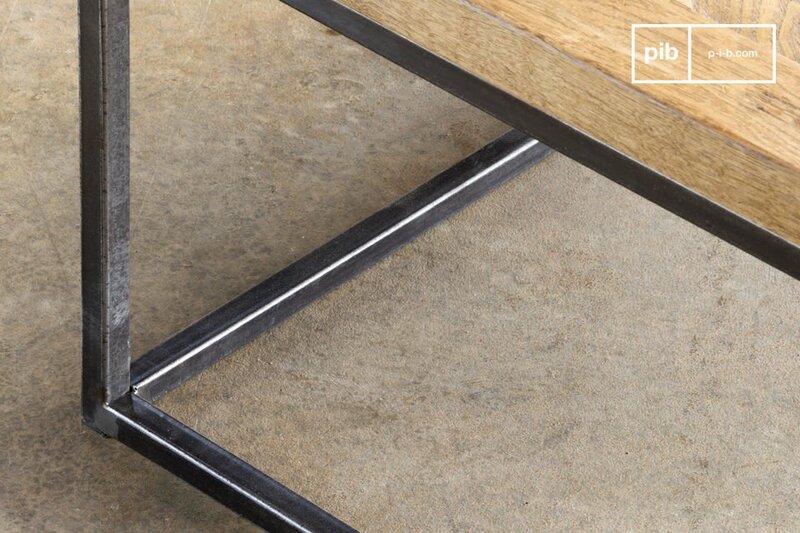 This square coffee table has been entirely made out of bands of massive oak wood. 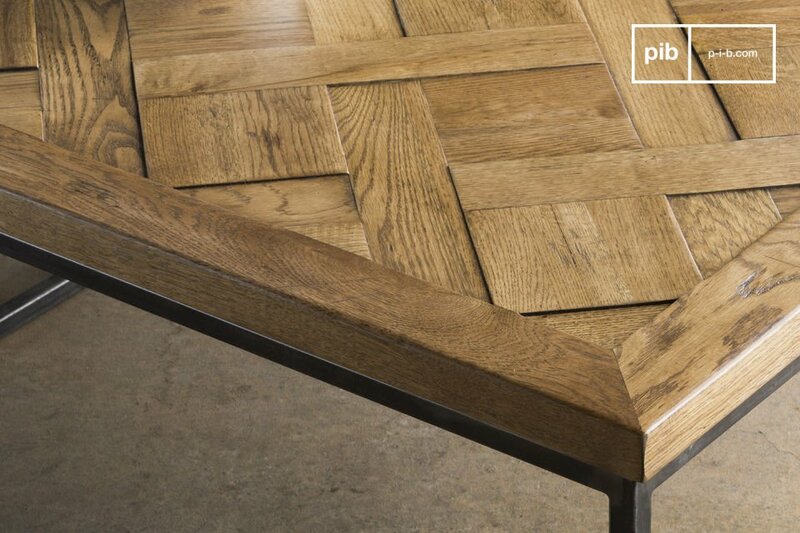 This wood has been assembled in the same style as the motif of Versailles's parquet. 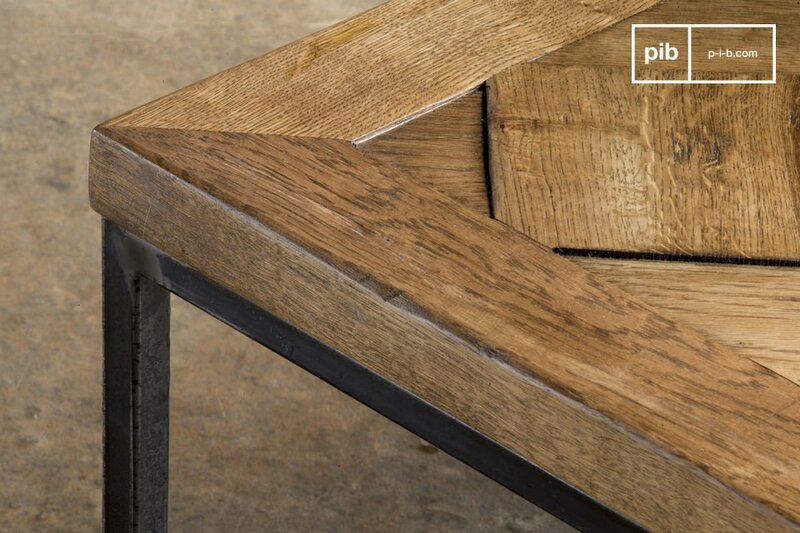 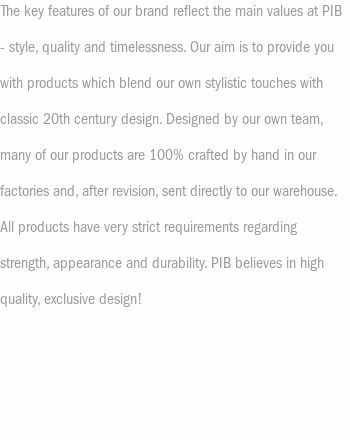 Each band of wood has a different thickness, giving a different look to every table. 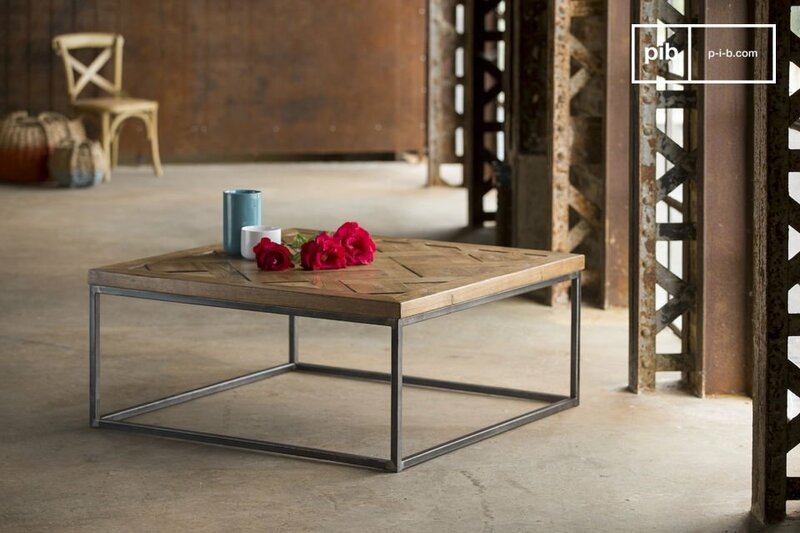 To ease its maintenance, this table has been varnished with a thick and resistant layer of transparent lacquer. 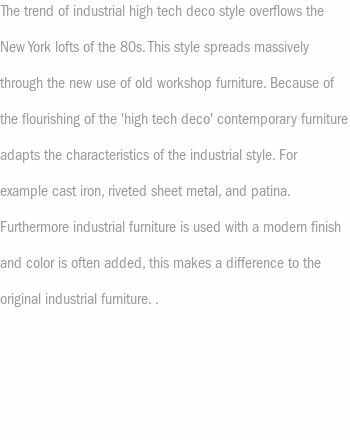 The structure in steel has been left rough in order to create a nice contrast of materials and to highlight the industrial origins of this design. 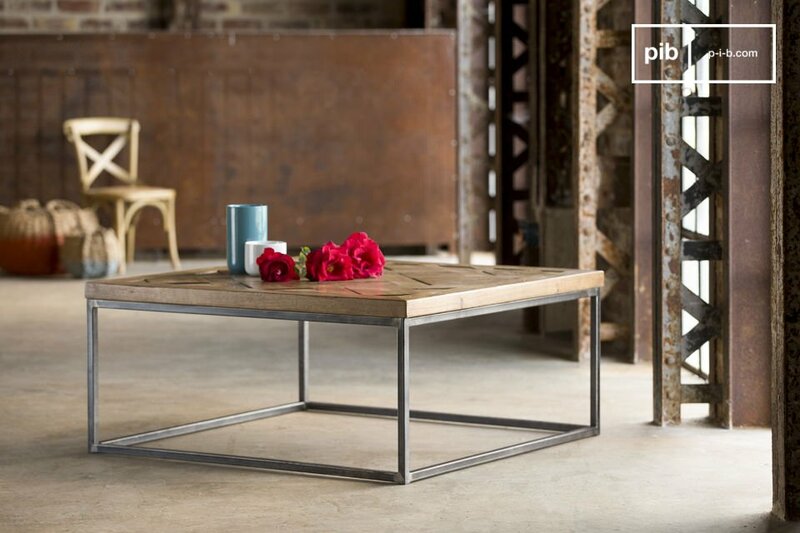 Thanks to its simplicity, this table will be perfect in an industrial style interior but it can also be used as a rustic style shabby chic coffee table.